Central vacuum systems are often recommended by allergists for removing pollutants from the home. Research has revealed that using a central vacuum system can improve indoor air quality and significantly reduce allergy symptoms. With the motor located away from the living area, the quiet hush of airflow is all you hear. 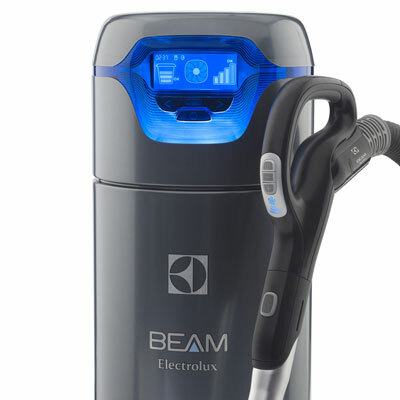 Vacuum when you want, without disturbing anyone’s activities or sleep. Central vacuum systems are "whisper quiet" so you won’t miss that important call or text. Deep cleaning suction power removes 100% of contacted dirt and debris from every surface. A central vacuum system can provide up to 50% more performance than a typical vacuum cleaner. A lightweight hose and handle lets you move easily without dragging a heavy vacuum cleaner. The average vacuum cleaner weighs 15 lbs. vs. the 7lb. central vacuum average. $99 In-Home Central Vacuum Tune-Up Special. All Makes and Models. Fast Service. 100% Satisfaction Since 1956.